We had a wonderful time at this year’s Earth Day! Many thanks to the Huntsville Green Team for putting on such a wonderful event and for letting us be a part of it! 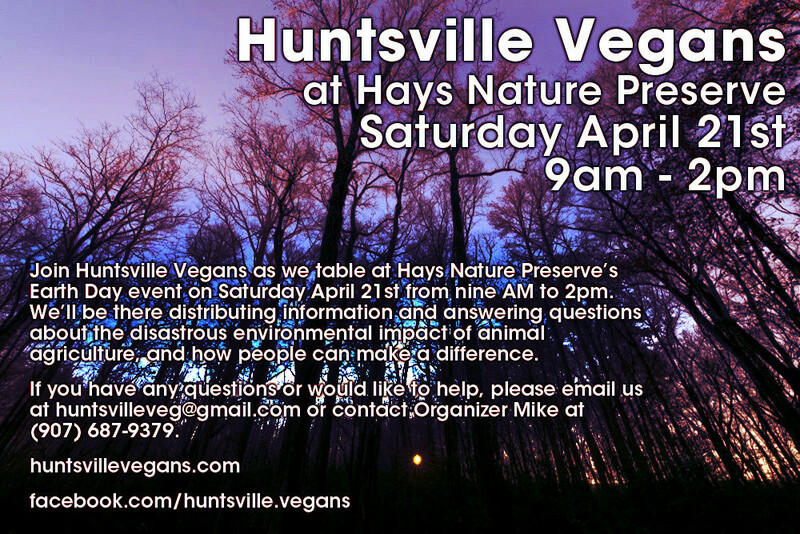 We met a lot of vegans and people who were curious about veganism. Our table was next to the amazing Peace, Love, and Animals and we spent our free time hanging out with the sweet dogs up for adoption.